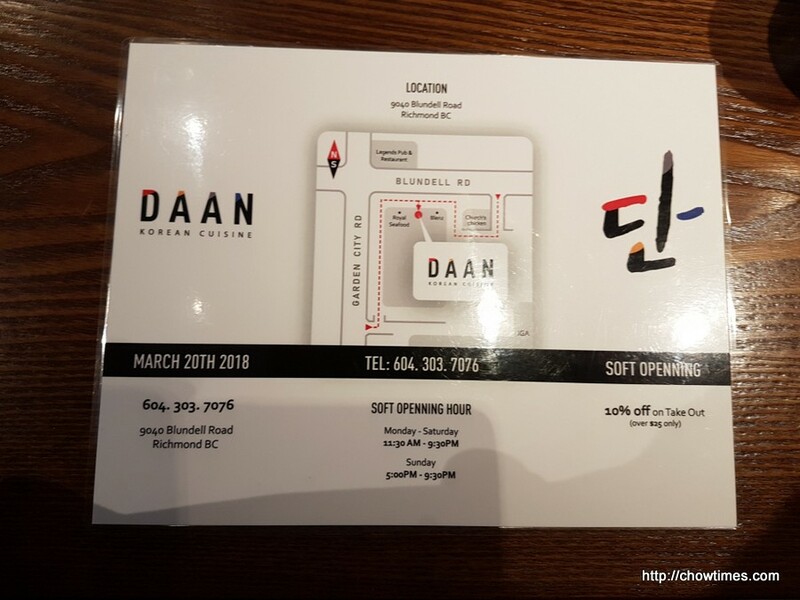 My family went to a new Korean restaurant on Blundell and Garden City Road in Richmond for dinner. 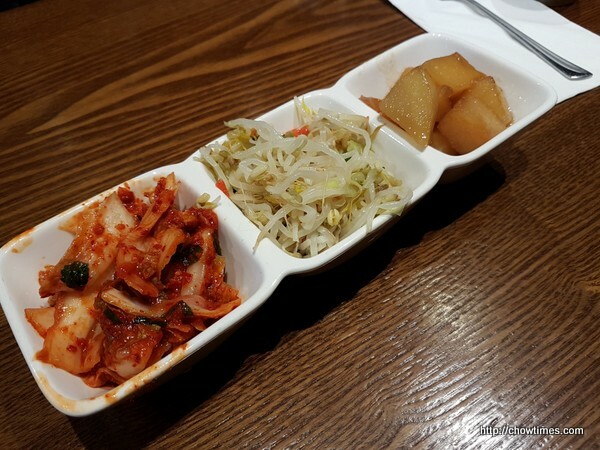 This new Korean restaurant is located just next to the Royal Seafood Restaurant. This dinner is for a birthday celebration for the April birthday boy. We were there for early dinner just after 5PM. So, getting a table was not a problem. Later into the evening, there was a short lineup. The restaurant was not too big. 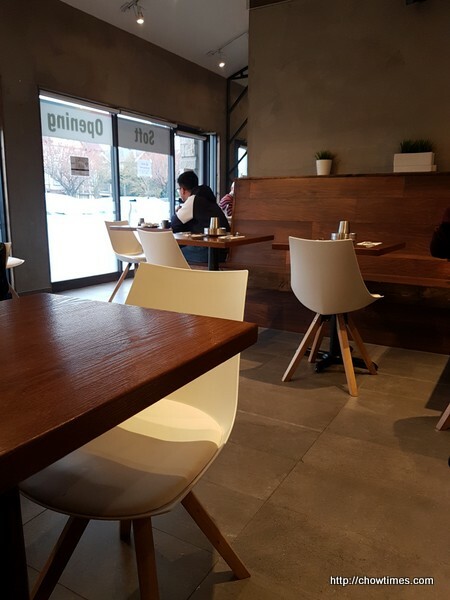 We also noticed that quite a number of people came in for take-out because there is a 10% discount for take out on the soft opening. 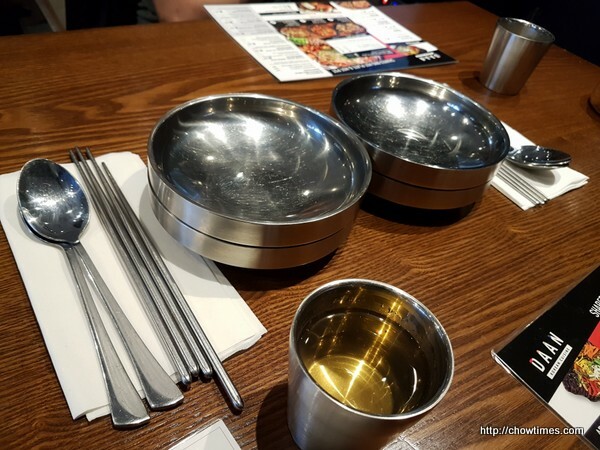 Metallic cutlery which is popular among Korean restaurants. Banchans which we got a second refill after we finished the first serving. 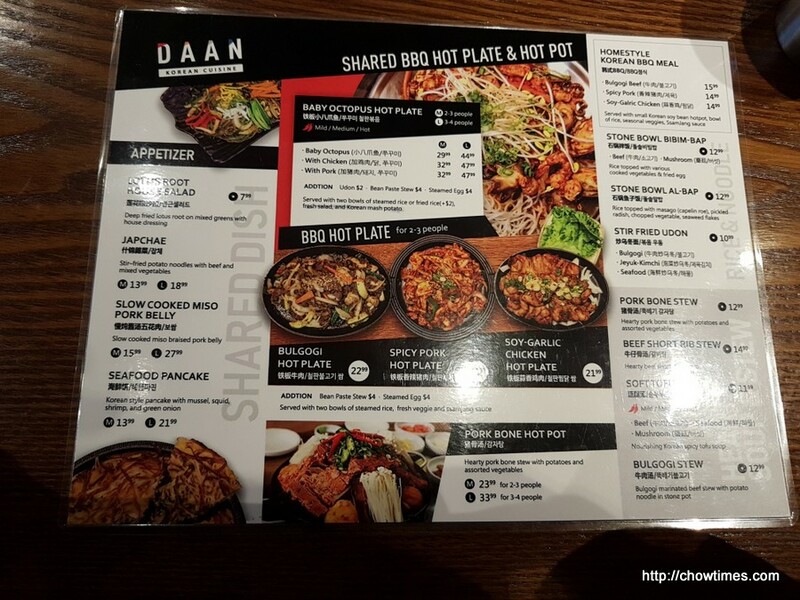 We shared two items among the four of us. 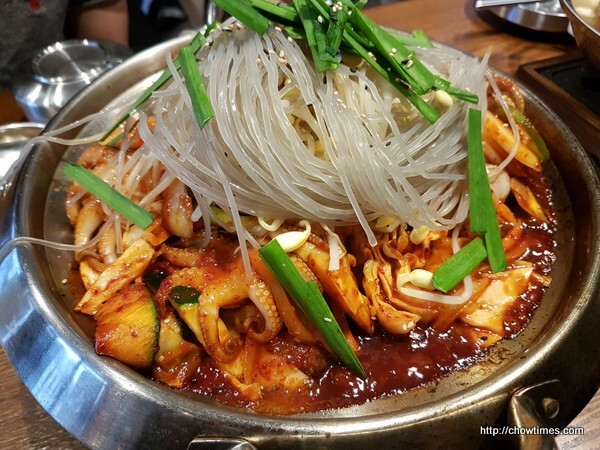 The above is the Baby Octopus Hot Plate. We ordered the medium size which serves 2 to 3 people. We asked for medium spiciness. The sauce for this was rather sweet. 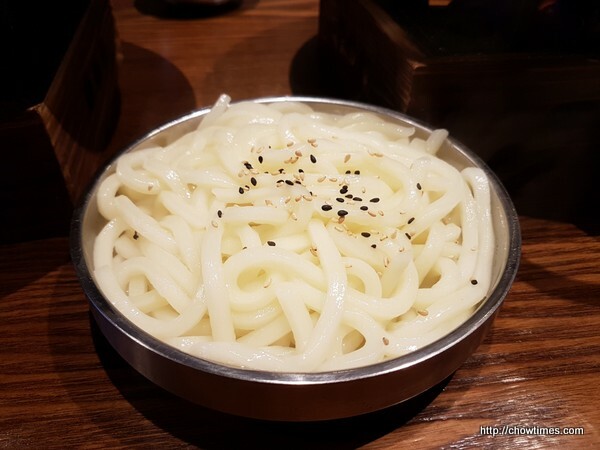 We ordered a side order of Udon for an extra $2 to be eaten with the sauce. 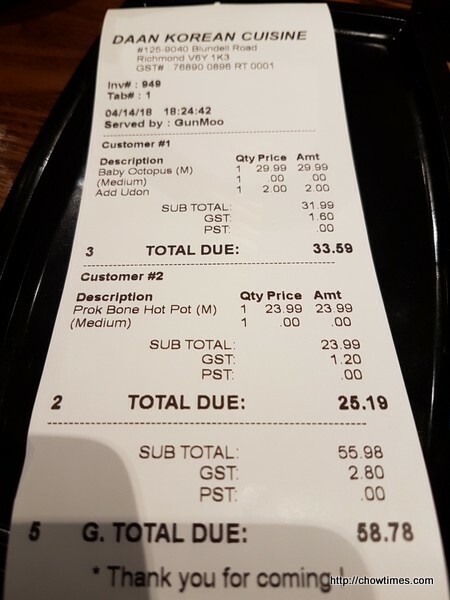 The Baby Octopus Hot Plate came with two bowls of steamed rice. 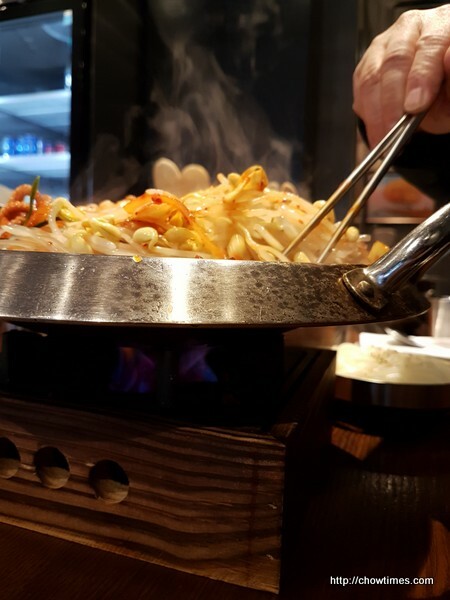 The hot plate was served on top of stove to keep the stew hot. 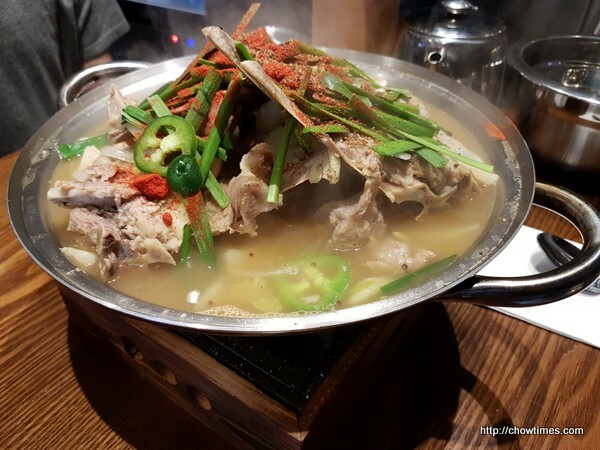 The second item we shared was the Pork Bone Hot Pot. We ordered the medium size for 2 to 3 people. 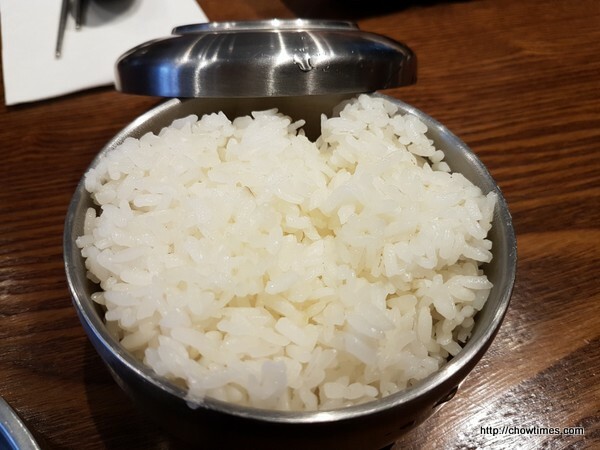 This also came with two bowls of steamed rice. Arkensen was not keen on this because he does not like bones. 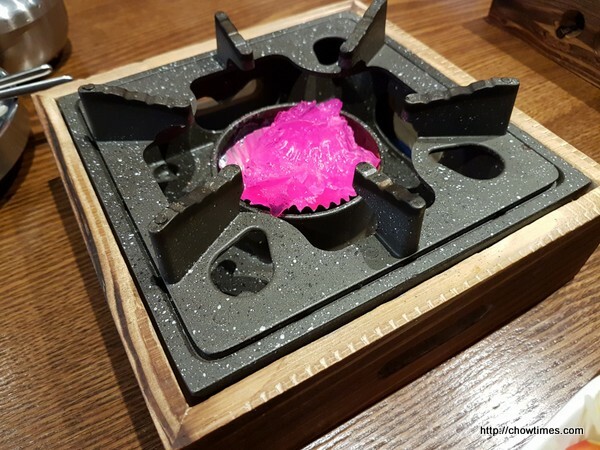 The stove used gel like substance for the flames. The menu is just a simple one page menu. 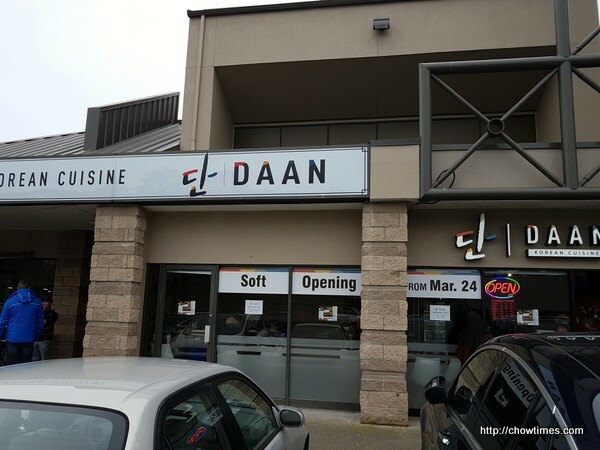 We love to have a Korean restaurant in this neighbourhood.